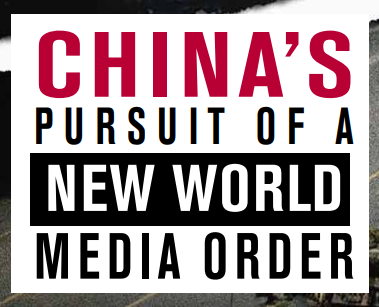 A new report by Reporters Sans Frontiers (RSF) uncovers how the government of China employs media propaganda beyond its own borders. The investigative report outlines several ways that the regime manipulates media sources through intimidation of critical journalists, bribery of aspiring journalists in developing countries, and development of wide-reaching state media programs. Through these tactics, China has successfully corrupted independent media beyond its borders—serving as a threat to press freedom around the world. Read the full report in English, French, or Chinese here.